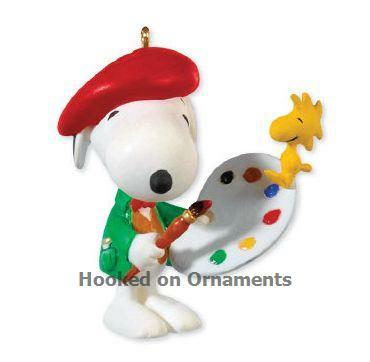 Snoopy is an artist in the 13th in the Hallmark Keepsake ornament series - Spotlight on Snoopy. Snoopy holds a palette of paint, Woodstock is perched on the palette. Snoopy looks dapper in his red beret!